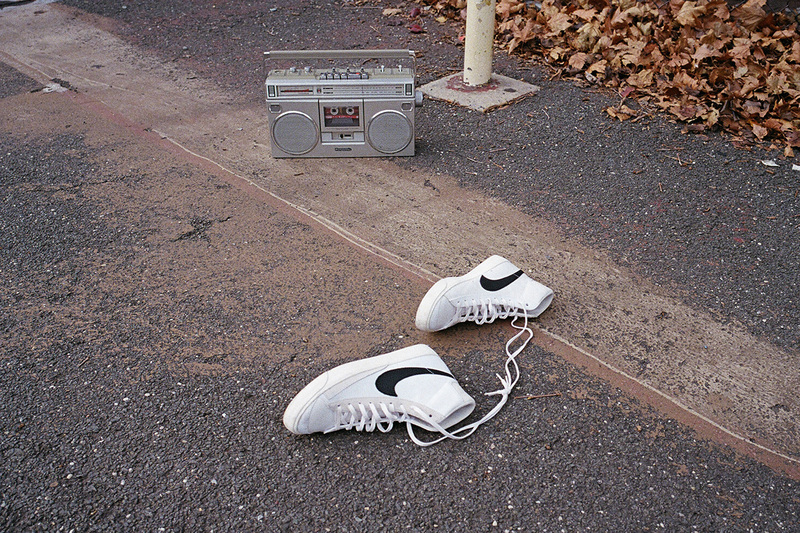 The Slam Jam x Nike Blazer Mid “Class 1977”, which previously released via an exclusive drop for the Slam Jam’s 30th birthday at Pitti Uomo 95, is getting a wider release. The white leather upper with off-white suede overlays and a vintage white midsole is combined with Slam Jam’s take on Nike’s infamous swoosh, flipping it on the medial side in premium tumbled black leather. Final touches to the collaborative pair include a vintage-effect print of “Class” and “1977” on the Blazer’s heels and a true-to-style exposed foam tongue. The wider release will see a launch event at Slam Jam’s Milan flagship, a special event designed by Gonzalez Haase featuring an exclusive soundtrack by ONYX Collective. The Slam Jam x Nike Blazer “Class 1977” will release on February 22 at all Slam Jam locations and online at Slam Jam Socialism. In case you missed it, check out the Nike LeBron 16 Low “Safari”, inspired by atmos’ iconic Air Max 1 collaboration. Slam Jam Flips the Swoosh on Nike's Blazer With Exclusive "Class 1977"